The notion that sound is experienced somewhere inside the human body is one that Hazrat Inayat Khan, a great Sufi mystic has expressed in his seminal work The Mysticism of Sound and Music. The extraordinarily complex palimpsest also posits that because all sound is by its very nature primordial and formless it is the heart where we are first most likely to encounter it as if it were a message from The Divine. 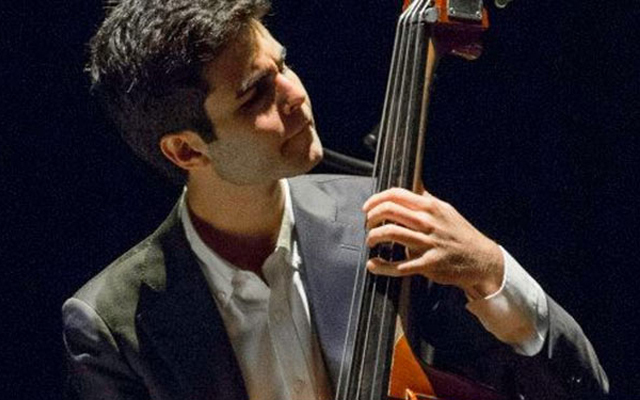 The heart is also the place in the body that drives the rhythm of emotions and in music who better than a rhythmist such as one who plays the contrabass to feel its music? 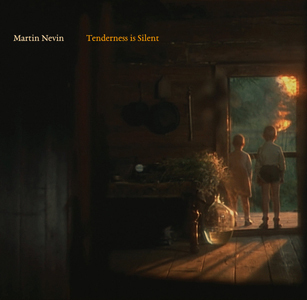 At his surprisingly young age the bassist Martin Nevin has connected with his innermost being and this has enabled him to create this extraordinary musical palimpsest of his own entitled Tenderness is Silent. The eleven vignettes (+plus a redux) echo like quintessential heart music, formed within Mr Nevin’s being before entering the realm of musical art. To feel it so deeply and so forcefully is the most enviable way to be able to create music and Mr Nevin is fortunate to have experienced the music in this manner. That he was able to connect with it and render it into melodies and harmonies entwined in this seemingly interminable rhythm is the main reason why this music works exactly as it was meant to. It is complex work, no doubt, and this is made more difficult because of the almost excruciatingly slow tempi of the works. But it feels so right this way also because it gives voice to the paradigm that the heart can stop time when it wants to. And it does just that in this music by Mr Nevin. The album takes its title from a poem by the Russian poet Anna Andreyevna Gorenko, better known by the pen name Anna Akhmatova. Miss Akhmatova lived between the 19th and 20th centuries and wrote remarkable, short lyric poetry and she is best-known for her tragic masterpiece Requiem (1935-40), a masterpiece about Stalinist terror. Craving love throughout her lifetime the poet discovered that herself unable to put into words how deeply she felt about this “missing” part of her life. But she experienced it alright; only in silence. Mr Nevin has been similarly seized by the belief that the strongest emotions are also experienced in silence of the heart. And it is this that he has put into music on his debut venture Tenderness is Silent. Track list – 1: Tenderness is Silent; 2: Egon; 3: Grasp at Nothing; 4: Its Own Brief Bloom; 5: As When I Was Not Yet; 6: The First of Many Exits; 7: Without Throat to Carry; 8: Sculpting in Time; 9: In Wax; 10: A Hundred Years of Talk; 11: I See It Feelingly; 12: Tenderness is Silent (reprise). Personnel – Martin Nevin: contrabass; Sam Harris: piano; Craig Weinrib: drums; Kyle Wilson: tenor saxophone; Román Filiú: alto saxophone.